Known for being economical in terms of space and sticker price, prefabricated homes are also boasting increasingly abbreviated build times. 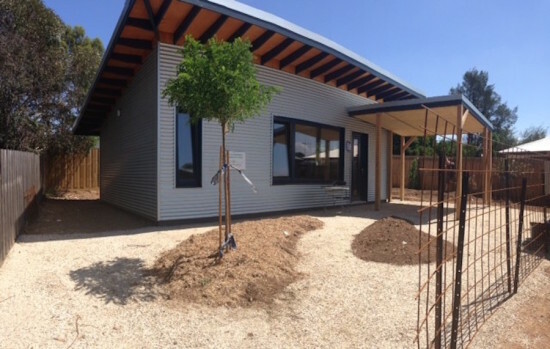 One modest-sized dwelling in Castlemaine, Australia took a mere 10 days to construct and garnered an esteemed sustainability marque from PassivHaus to boot. One of the world’s fastest-growing energy performance standards, ‘Passive House’ accreditation is doled out solely to homes operating on 90 percent less energy than traditional homes. 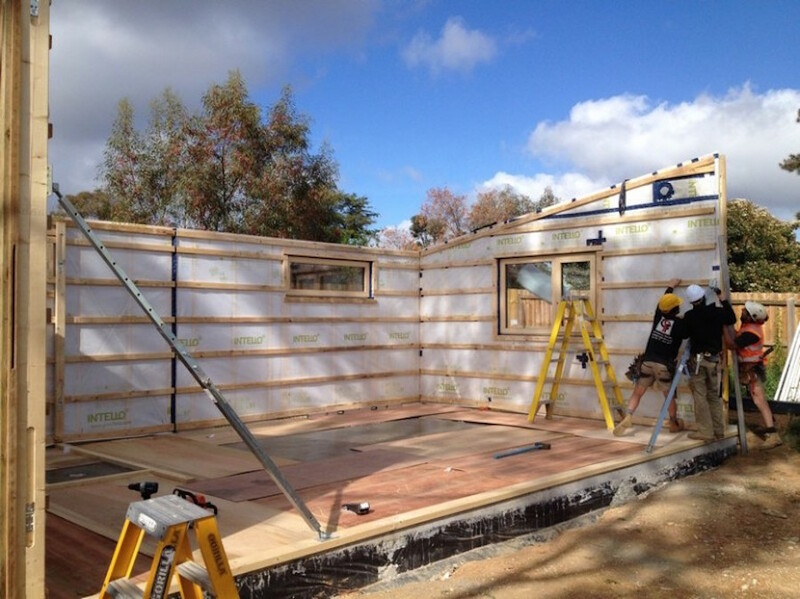 For consideration, three eco-friendly parameters are paramount: thermal performance, airtightness, and ventilation. The most efficient homes use the sun, internal heat sources, and heat recovery for insulation, avoiding the need for energy-guzzling radiators even in the icy throes of winter. 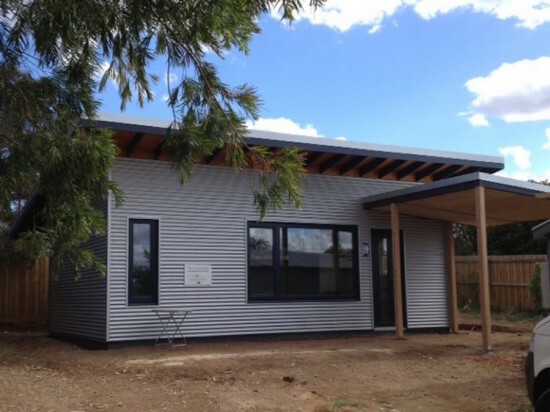 At just 419 square feet, the Passive House in Castlemaine, Australia (the first in the country to receive this certification) comprises a wooden frame with wool and fiber insulation and a facade clad in steel to confer a modern look. 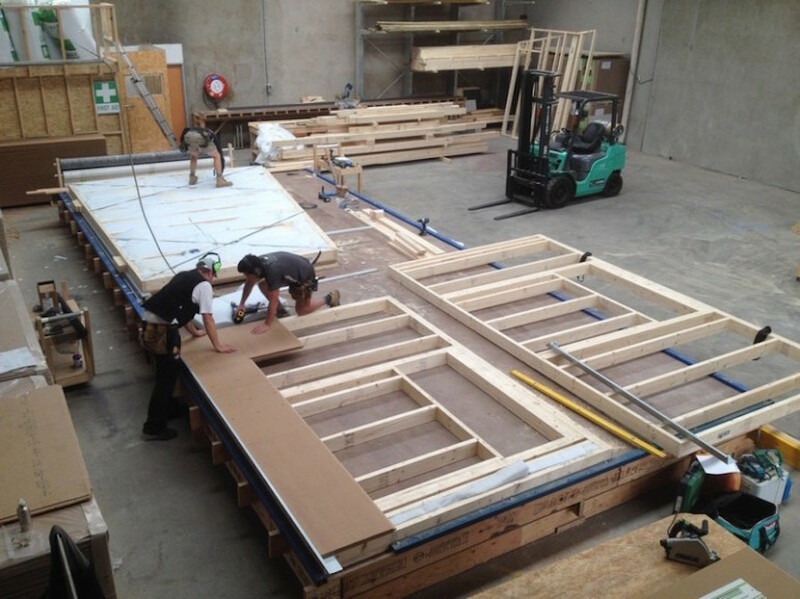 Further insulation comes from the triple-glazed windows and specially engineered seals protecting the windows and floors, which is made from an air-tight membrane called Intello. Keeping the interior snug and toasty year-round is an energy recovery system which, contrary to ordinary logic, funnels air into the house, heating it in the winter and cooling it in the summer at low running cost while also keeping moisture out. The system also tamps down heat transfer, giving the exterior of the house a u-value (heat transfer coefficient) of 0.261 watts per square meter. The lower a home’s u-value, the better its insulation. As a result, annual heating, electricity and hot water demands for the Castlemaine Passivhaus are a mere 11 kilowatt hours per square foot. Designed by Australian architectural firm CARBONlite, which specializes in prefab homes, the various sections of the Castlemaine dwelling were built off-site over a 5-day period. Once assembled on site, the exterior was erected and the building made wind and watertight that same day. The house has a mono pitch roof with an overhang to provide shade and minimize overheating during Australia’s scorching summers.